Based on its internal dynamics, the U.S. economy continues to be one of the most attractive for investors. 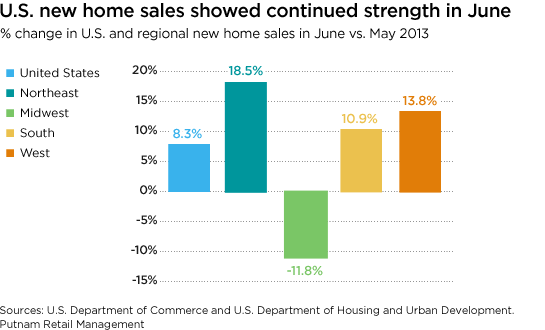 One of the key pillars of support for the U.S. economy has been the housing market. Dynamics of the housing market include low prices, low mortgage rates, high pent-up demand due to rising household formation, and institutional investment into a strong rental market. Of these, only mortgage rates have hit a bump in the road, as the surge in bond yields has pushed rates higher. However, rates still appear low when viewed over a longer time horizon, and we think conditions favor continued strength. Read Putnam’s full Capital Markets Outlook.